Coming into Mid-States Poker Tour bestbet Jacksonville, Brian Arbaugh had two career five-figure live scores, both at this venue for about $55,000 total. 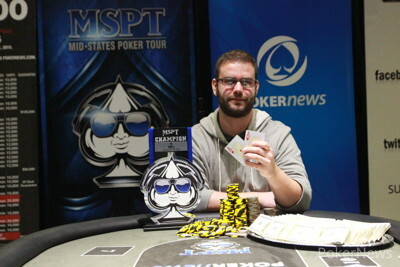 After 14 hours of grueling Day 2 play, he added a six-figure score that trumps the rest of his cashes combined, taking down the tournament for $102,806. 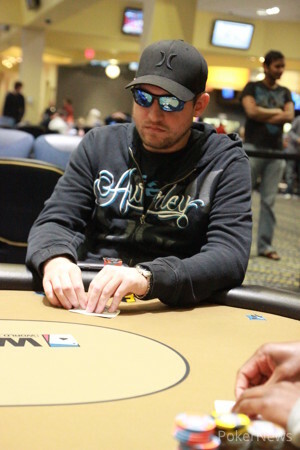 Arbaugh defeated a final table that included 2004 Main Event champ Greg Raymer, who bowed out in ninth. Out of 421 runners, a field that produced a prize pool more than double the guarantee, 71 made their way into the Florida card room for Day 2 play. Of those, 45 would make the money. A couple of former champs, Jason Zarlenga and Ryan Dykhouse, were among those to fall before the bubble. Tour regulars Steve Anderson and Jim Boone also left empty-handed. 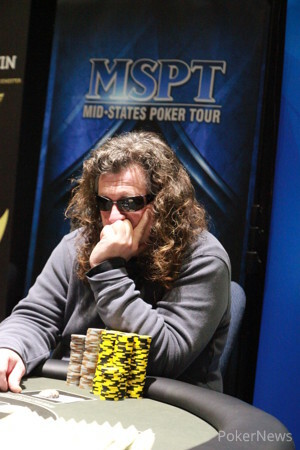 Judd Greenagel and former MSPT Player of the Year Patrick Steele fell during the money as the pace of play picked up until two tables remained. Longtime chip leader James Wilson, who was seeking a second straight final table, sent Arbaugh a massive double during Level 22 (10,000/20,000/3,000) on a flop in a three-bet pot. Wilson bet out and called a raise, then check-called a 483,000 shove with after the turned. Arbaugh had , which held up on the river, and Wilson was done shortly thereafter. 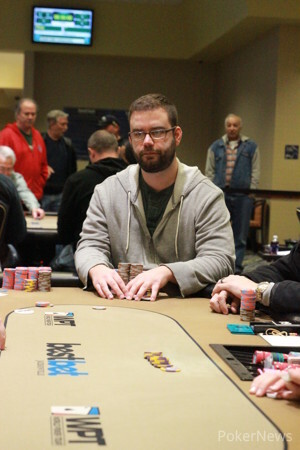 Eventual runner-up Jeff Klein nailed a couple of sets on the river to bust opponents, and when Raymer's held up against the of Ken Taffaro, the final table was set. Klein and Arbaugh had sizable leads over the field at that point with around 1.4 million, while third-place Toby Boas had 880,000 with blinds at 15,000/30,000/5,000. 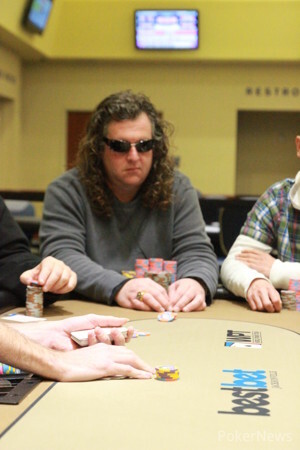 Mark Hodge was eliminated in 10th after coming seventh at the last MSPT of 2014. Later in the same level, Raymer elected to take a passive line after three-betting from the blinds and flopping top pair against Boas on an . Both players checked the flop, and Raymer check-called 160,000 on the turn and 200,000 on the river. Boas turned two pair with , and Raymer was done in ninth in a double knockout shortly thereafter when Boas picked up kings and also busted Wil Augenstein in eighth. Daren Wooten fell in seventh, followed by KC Collins in sixth. Then, Arbaugh blasted off most of his stack to Boas when the latter rivered a set of tens in a three-bet pot. Arbaugh was under 20 big blinds at that point but he survived the elimination of Andrew Dykeman in fifth and clawed his way back to the co-lead with Klein again when Klein sent Boas packing by binking a three-outer with against . Arbaugh looked to be out the door all in preflop with , having had his three-bet shove called by Klein and his . Klein needed a queen on the river after an run out, and he got the for new life. First Arbaugh doubled up with all in preflop against Klein's . Then, the key pot of heads up happened when Arbaugh made a backdoor flush after Klein turned a gutshot and the latter paid him off for a huge river bet. Two hands later, Arbaugh sealed the deal with aces against second pair to take the title. 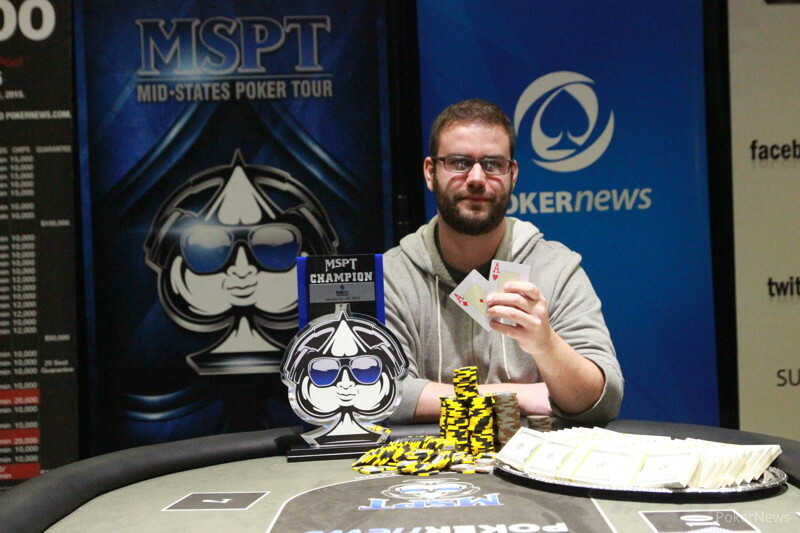 The MSPT will return in a couple of weeks with another stop at Running Aces in Minnesota, and PokerNews will be on hand for more coverage. Brian Arbaugh raised to 200,000, and Jeff Klein called. On the flop, both checked. Klein bet 375,000 on the turn, and Arbaugh raised to 800,000. Klein called, and the hit the end. Klein checked, and Arbaugh bet 1.2 million. Klein instantly flipped a chip in. 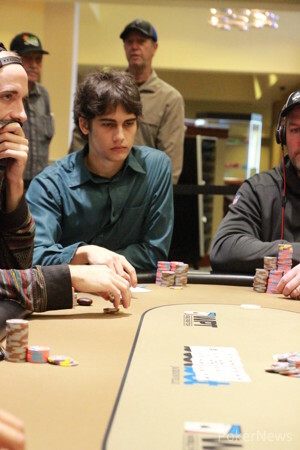 Arbaugh showed for a backdoor flush, and Klein showed for a losing straight. That left Klein with about 2 million, while Arbaugh had more than 6 million. Two hands later, Klein shoved all in on a board, and Arbaugh snapped it off with . Klein showed , needing a queen or seven on the river, but it was an . "Lock it up," Arbaugh said softly. Brian Arbaugh raised to 160,000, and Jeff Klein made it 580,000. Arbaugh shipped for just over 2 million, and Klein called. Klein was live, but a flop reduced him to a gutter. The gave him a couple of extra outs with a pair of kings, but the blanked on the river to double Arbaugh. We heard an all in and a call and headed back over to the table to see Tim Forsberg all in for 2.7 million preflop against Jeff Klein. It was ace-jack again for Klein, and another monster flop hit for him: . This time, there was almost no way he could lose, and the cinched it. Jeff Klein opened for a raise on the button and called the shove of Brian Arbaugh, who had about 1.1 million. Klein flopped a commanding lead when gave him two pair. The had Arbaugh down to three outs, and he reach for his backpack. But the river gave him a winning straight. Jeff Klein made it 200,000 on the button and called a raise to 465,000 from Brian Arbaugh in the small blind. Arbaugh fired 425,000 on the flop, and Klein called. Both checked the turn, and Arbaugh bet 500,000 on the river. Klein called. Arbaugh expressed disbelief and mucked. Toby Boas shoved 915,000 in from the small blind and was called by Jeff Klein, who had opened to 225,000. Boas pumped his fist, but his celebration was short-lived as flopped. He still had a straight draw, but running fives spelled the end for Boas. Jeff Klein (left) and Brian Arbaugh plays heads up.